A simple rapid detection of antibody to hepatitis delta virus (anti-HDV) in human serum was developed by using double antigen sandwich ELISA. HDV gene fragment encoding HDAg was isolated from a Chinese patient infected with HDV by RT-PCR, and a high-efficient expression HD-PQE31 strain was constructed with the fragment. 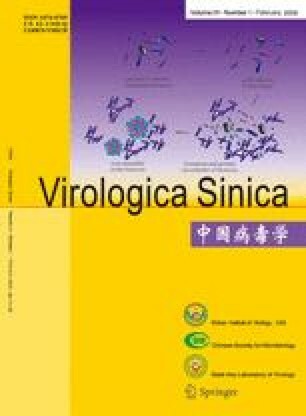 We obtained high titer and good quality hepatitis delta virus protein purified by Ni-NTA metal-affinity chromatography, which was identified by Western blot and ELISA, then we set up the double antigen sandwich ELISA for detection of anti-HDV in human serum, and the performance of the sandwich ELISA was evaluated in terms of specificity and sensitivity. Results were: 1) The purified HDAg protein’s purity was 90%, and its ELISA titer was 1/100 000. 2) 42 anti-HDV positive sera were detected and showed that the sensitivity of sandwich ELISA was higher than that of competitive ELISA (t=2.44, p<0.01). 3) The inhibitory rates for 2 anti-HDV positive sera by the specific HDAg were 74% and 93% respectively. 4) For the assay of specificity, all 60 samples infected by other hepatitis viruses and 30 normal samples were negative for anti-HDV. These results suggested that the double antigen sandwich ELISA with purified recombinant HDAg showed higher specificity and sensitivity, It can be used in routine laboratories to diagnose the HDV infection.